A practical approach to imidazo[1,2]hetarylglyoxylates via Friedel-Crafts acylation of the parent fused imidazoles with ethyl oxalyl chloride is reported. The reaction is strongly influenced by the electron-donating properties of the starting heterocycle. The generated imidazo[1,2]hetarylglyoxylates undergo standard transformations typical of α-keto esters upon reaction with various nucleophiles. 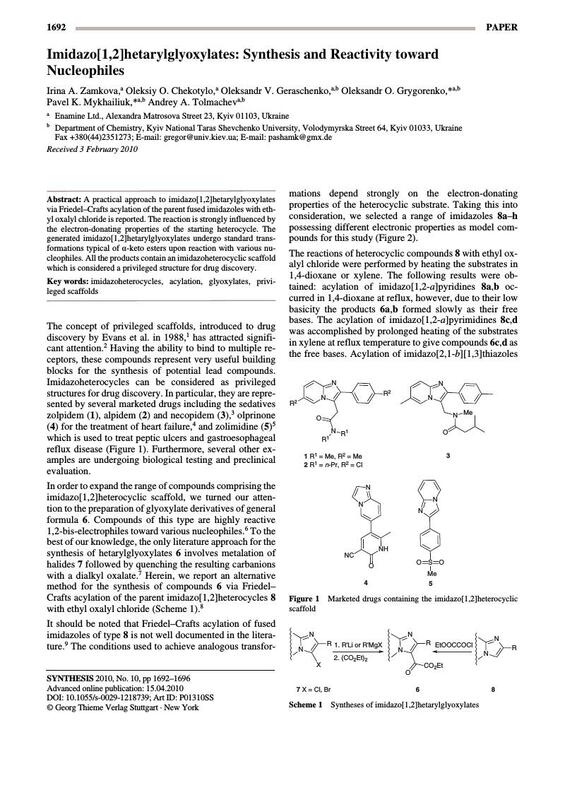 All the products contain an imidazoheterocyclic scaffold which is considered a privileged structure for drug discovery.